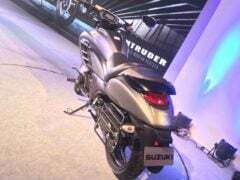 Suzuki Motorcycle India Pvt Ltd (SMIPL), the Indian subsidiary of the Japanese motorcycle giant, has come up with the 150cc Intruder cruiser motorcycle. The new model is actually the first of its kind bike for its segment as, akin to the M1800, it combines the relaxed cruiser riding style with a modern design. 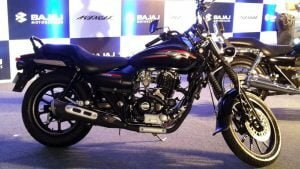 However, finding too many buyers won’t be exactly a cakewalk for this 150cc Suzuki as it will need to outclass a potent rival in the form of the Bajaj Avenger 150. 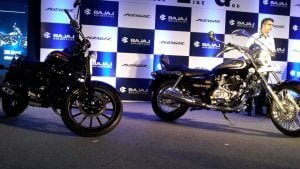 Well, the Bajaj model is a true-blue cruiser. It offers the design of its 220cc sibling along with the frugality of a 150cc offering. But how does it compare with the new Suzuki? Let’s find out in our Suzuki Intruder 150 vs Bajaj Avenger 150 comparison here. The new cruiser motorcycle from SMIPL takes design inspiration from the M1800 and gets the same 155cc single-cylinder engine that powers the Gixxer. It offers a long list of features, which includes alloy wheels, front and rear disc brakes, ABS, and a LED projector headlamp. Thanks to a really attractive design and many features, the 150cc cruiser from Suzuki is likely to have a higher price than the Avenger 150. However, if you compare the two, the new Suzuki model makes up for a higher cost by offering more features. The new Intruder 150cc model looks a lot like the M1800, the power cruiser it takes its inspiration from. The new motorcycle combines the relaxed riding posture of a classic cruiser motorcycle with a modern design that looks really very attractive. We are pretty sure that after its launch, there will be really nothing like this motorcycle in its segment. Bits like LED projector headlamps and alloy wheels make this bike look modern. On the other hand, a low seat height and a relaxed riding position validate its cruiser credentials. In comparison, the Avenger 150 is a true-blue cruiser. Basically, it is the 150cc version of the larger, 220cc, model. The Avenger features a wider rear tyre and has a classic look. If you compare the instrumentation of these two, the Bajaj model gets an analogue speedo instead of the digital unit on the Intruder. It also misses out on alloy wheels and has many chrome bits for that old-school look. Other highlights include a black exhaust, and a black painted engine. 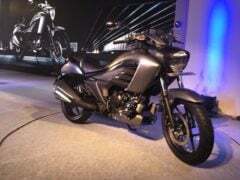 The new Suzuki Intruder 150 has a higher price than the Avenger 150cc model. Prices of the new cruiser motorcycle are ex-showroom Rs 98,340. 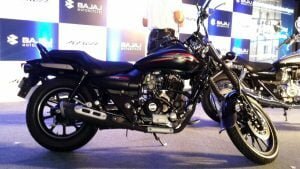 In comparison, the Avenger Street 150 costs Rs 80,960. However, the Suzuki motorcycle offers many more features, like ABS, LED Projector Headlamps, etc, and hence, will be able to justify the higher price tag. The Intruder 150 will come with the same 154.9cc, single-cylinder engine that powers the Gixxer series of 155cc motorcycles. However, we expect the engine to have a different state of tune to suit the cruiser body style. For the Gixxer, the motor outputs a maximum power of 14.5 bhp at 8,000 rpm and a peak torque of 14 Nm at 6,000 rpm. Even the suspension comes from the Gixxer. Hence, this new motorcycle boasts conventional telescopic forks up front and a monoshock at the rear. In comparison, the Avenger 150 is powered by a 149cc, DTS-I engine that outputs a maximum power 14 bhp at 9,000 rpm and a peak torque of 12.5 Nm at 6,500rpm. Suspension duties are taken care of by conventional telescopic forks at front and twin shock absorbers at the rear. 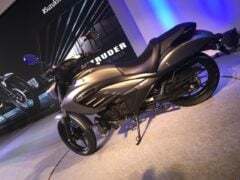 As the new Intruder 150 gets its juice from the same 154.9cc engine that powers the Gixxer, we can safely expect it to offer as much as 50 kmpl in normal riding conditions. On the other hand, the Avenger will offer around 48 kmpl. The slightly low mileage is due mostly due to a wider rear tyre. Price- While prices of the 150cc Intruder are higher, it makes up for the higher price by offering more features. Specifications- The Intruder is clearly the winner if you compare these two only on the basis of their specs. It is not only more powerful but also offers features like ABS and a rear disc brake. Mileage- Again, the new Suzuki motorcycle turns out to be the winner. So, which one among these two will you choose? Share your views with us by penning them down in the comments section below. Also, stay tuned to Car Blog India for latest news on launch and price of the new baby-Intruder.